Sudden Death in Athletes – Not so Rare! The leading medical cause of death in athletes is Sudden Cardiac Arrest (SCA). Although the purpose of the athlete Pre-Participation Exam (PPE), including review of the patient and family medical history and a brief physical exam, is to identify cardiovascular abnormalities that could progress to SCA, recent research has shown that the PPE does a particularly poor job of identifying risks. 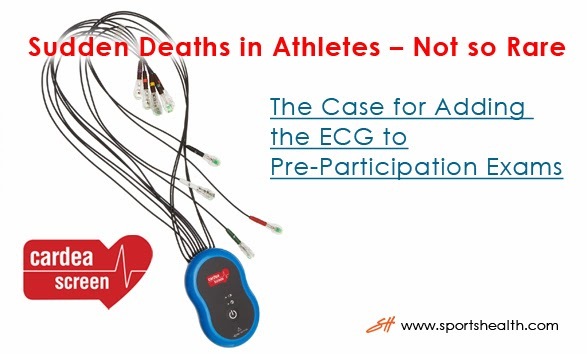 Conventional wisdom has proclaimed that including an Electrocardiogram (ECG) into the PPE to aid in finding those at-risk athletes is difficult, SCA is a rare event, and faulty initial evaluations (false positives) lead to unnecessary costs that would bankrupt the nation. But, as in most areas of health and science, technology and research can herald a new era. It’s time to take a fresh look at the value that can be garnered from the low-cost and highly sensitive ECG. Sports that are characterized by sudden surges of energy, such as basketball, water polo and soccer, carry much higher risk than sports characterized by relatively constant effort, such as cross-country. For an African-American male basketball player, the risk of death during 4 years of college play is about 1/1000, much higher than for other groups. These are risk levels that most of us would not knowingly accept. It’s unconscionable to argue that high risk-athletes shouldn't be screened! Available budget resources will guide how you begin a screening program that includes ECG. We recommend that you initially gain experience and proficiency screening the higher-risk sports, with considerations for gender and ethnicity, with the goal of potentially saving the most lives possible with the available resources. As efficiency and organizational support grow, you can extend the screening to a broader segment of your athletes. The total cost of an ECG should be in the $10-$25 range, depending upon your providers – a fraction of the cost of a pair of athletic shoes. What ECG system should we use? Most ECG systems implement automatic interpretation criteria that are outdated with respect to the best current consensus criteria for athletes, often referred to as the “Seattle Criteria,” ( Drezner, et al, British Journal of Sports Medicine, 2013). Use of these criteria have dropped false positive rates from around 12-15 % down to about 2 %, a factor of about 7x. Although most cardiologists believe they can read an ECG correctly every time, recent blinded studies show that they are often in error 4 to 15 % of the time (reading based upon experience = 15 % error rate; reading based upon specific criteria with examples = 4 %). An ECG device that implements the Seattle Criteria and is designed from the ground-up to deliver high-quality trace data, leveraging the tremendous data analysis capabilities of the modern PC, and with extended ECG recording time to improve beat estimates from bradycardic athletes, leads to much improved accuracy. CardeaScreen is such a system and is being rapidly adopted in screening programs across America. Sports Health would like to thank David Hadley, PhD, for writing this blog for us. 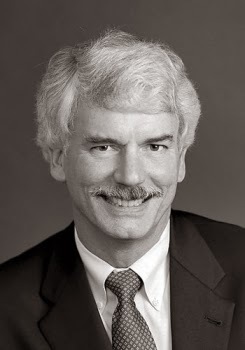 Dr. Hadley has over 30 years of hands-on experience blending customer needs with information technology through research and development. He spent nine years as Vice President of Research and Development for Quinton Cardiology. In this role, Dr. Hadley was responsible for rebuilding the engineering team, establishing robust new product architectures and developing the next generation of Quinton and Burdick diagnostic ECG products. Prior to his role at Quinton Cardiology, Dr. Hadley was with Primus Knowledge Solutions and Sierra Geophysics. He earned his Ph.D. from the California Institute of Technology.